Effective on both metallised and non-metallised floor polishes. 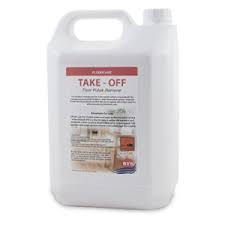 Ideal to strip emulsion polish from linoleum, thermoplastic floors, rubber, sealed wood and terrazzo. Effectively removes even aged polish. Sold in 5 litre bottles.